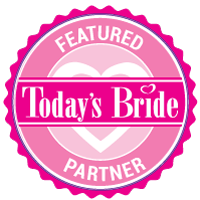 Bride to Bride Boutique is a new website catering to upcoming and past brides. “Your wedding day came and went, now get back the money you spent” reads their tagline. The auction-like site currently has listings for beautiful wedding dresses, some designer, starting at just $200. Many listings are willing to take offers, and there are even never-worn dresses. The dress shown here is a never-worn Alfred Angelo dress currently being sold for $250 out of Columbus, and the bride is willing to schedule a try-on! Other categories include jewelry, attendant gifts, favors, flower girl dresses, decorations, and even unwanted wedding gifts. I have 4 duck egg blue bridesmaid dresses cleaned worn once, exllenet condition … Do you buy theses? Well we are a music company, and the Bride to Be Boutique is an auction type of site. You could try ebay, Bride to Be, Craigslist, or a local consignment shop. Good luck!